The Gist: Max Abrahms on ISIS, and Obama’s leadership after the Paris attacks. Was Paris a Tactical Mistake? Our guest suggests ISIS might have sacrificed its dream of the caliphate in order to attack Paris. 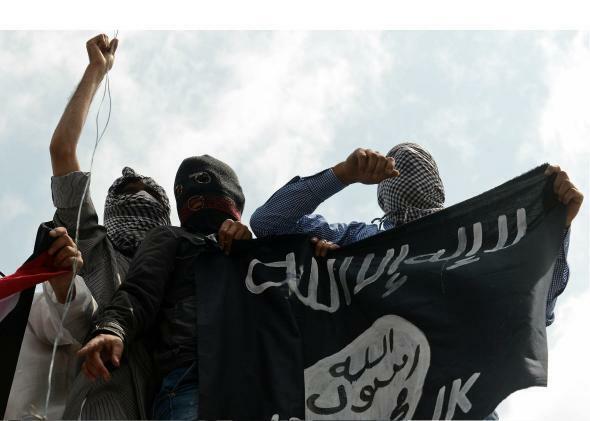 Demonstrators hold up an ISIS flag during a demonstration in Srinagar, Indian-controlled Kashmir, on July 18, 2014. Immediately after the Paris attacks, French President François Hollande called the terrorism “an act of war.” Then on Meet the Press, White House staffer Ben Rhodes went further, saying, “We’ve been at war with ISIS for quite some time.” How does ISIS conceptualize this state of affairs? On The Gist, Max Abrahms from Northeastern University examines the Islamic State’s seemingly paradoxical motives. For the Spiel, we ponder the role of leaders in the face of a handful of motivated killers. Hardball With Chris Matthews on MSNBC. Chris Matthews knows how Washington works from the inside out. After 40 years in politics, he has the guts and the know-how to get to the heart of today’s issues. Watch Chris on Hardball, weeknights at 7 Eastern, only on MSNBC.